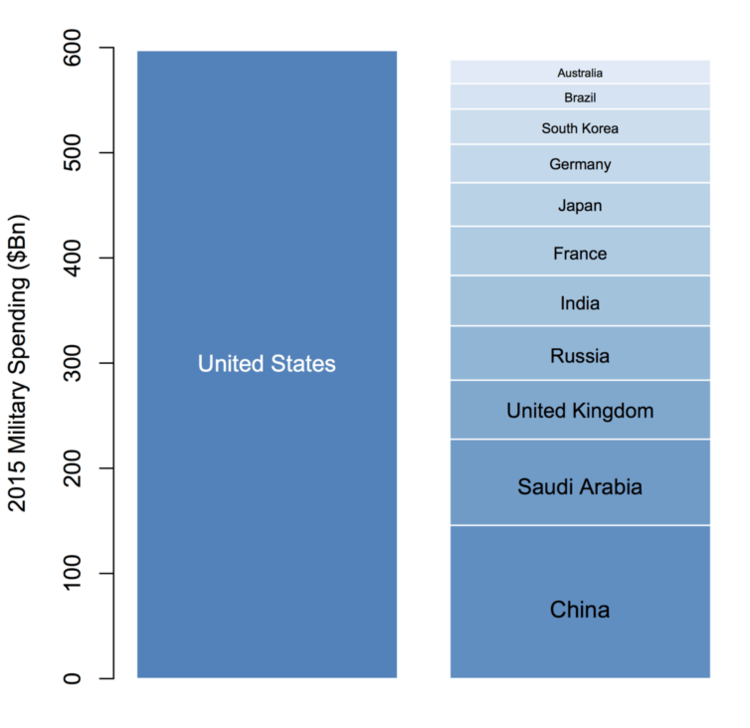 US spends as much as next 11 countries on War Industries; why do Cruz/Trump want to Spend More? The military spending of the United States in 2015 exceeded that of the next 11 countries combined, seven of which are our allies. In recent years, however, armed forces have increasingly been tasked with the imposition and maintenance of political solutions after victory. This could include, for example, nation-building or the elimination of terrorism. Here, traditional metrics of military power count for little.